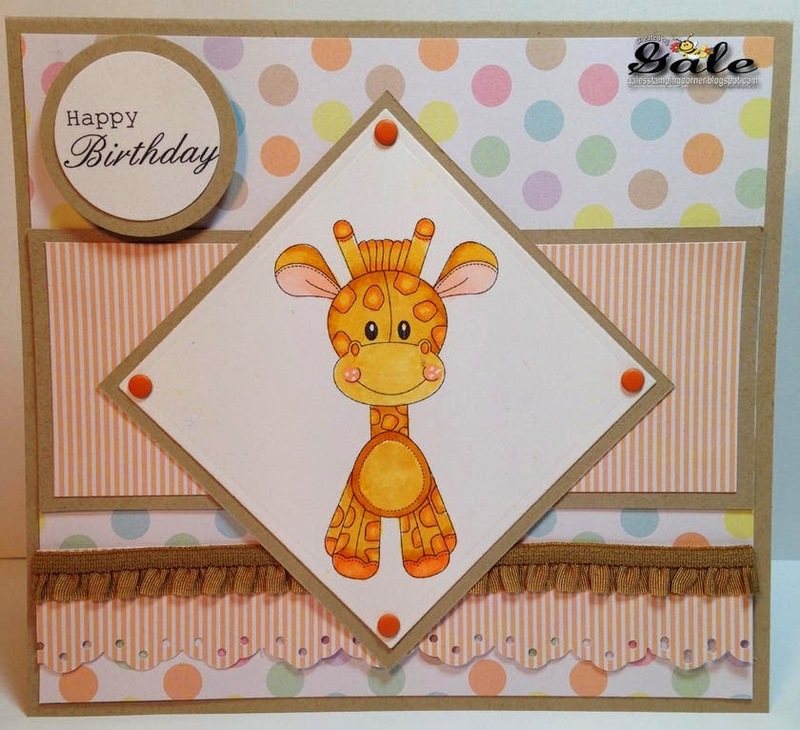 Dangina Said: Such a gorgeous design and I love all the Dots & Spots! Nina Said: I love the colour combo used. The result is stunning, especially that cloud background. I also love the design papers with the mixtures of dots and spots. 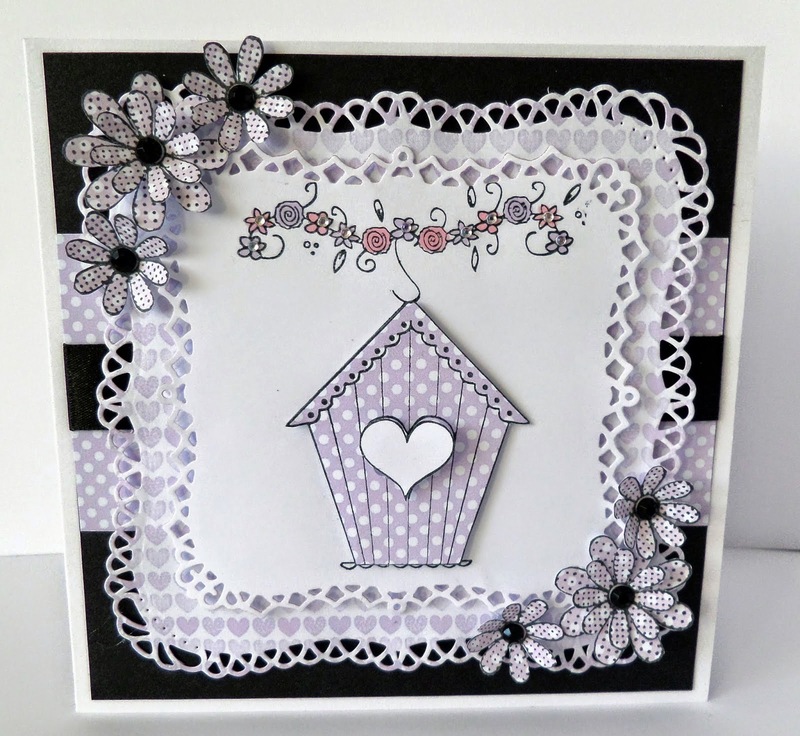 Nina Said: I love the clean and simple design of this card. A great 4th of July card. Great spotty paper too. Holly Said: OMGosh I love the adorable bot she used and the fabulous dp that looks like planets and moons with a great card design. Super cute!!! 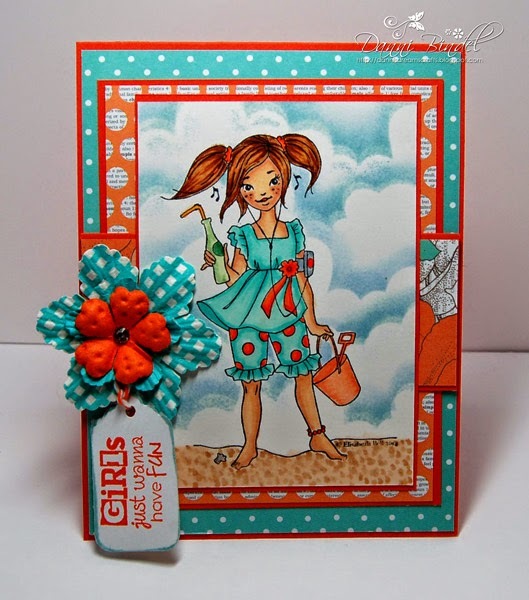 Shanna Said: I love this Stamping Bella image and her handmade dots and spots! 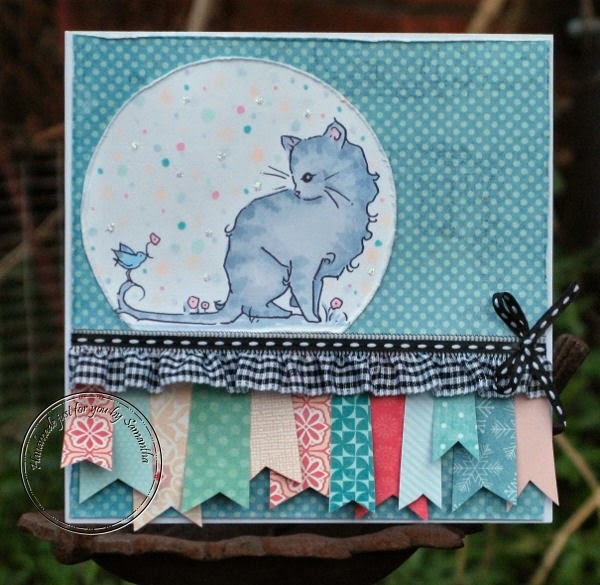 Blankina Said: sweet kitten image and lovely spotty paper, great banners too. Nikki Said: Very cute card. Lovely spotted background paper and a gorgeous image. Great colour combo. 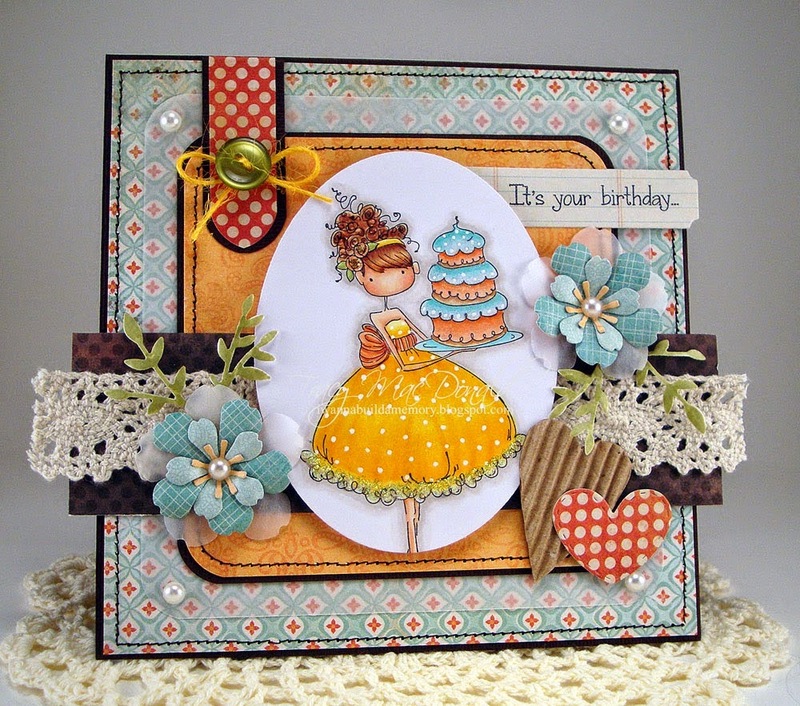 Marcy Said: This card is so adorable and really caught my eye! I love the pirate theme and all of her pretty layers and details. Fantastic coloring too! 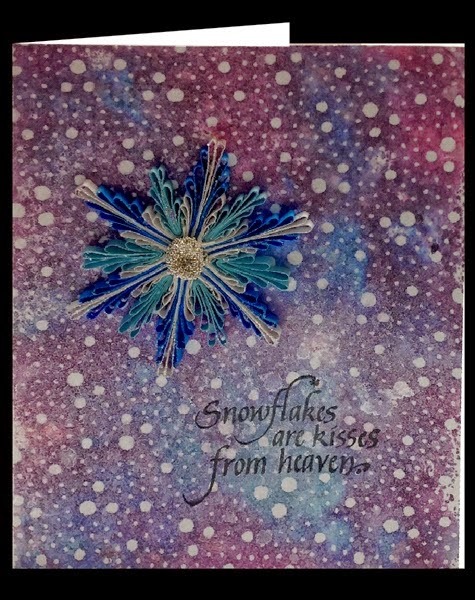 Laura Said: I really love the background that Yogi created for her card using the distress inks and water. Turned out so pretty! I also love the non-traditional color scheme for this Christmas card! Beautiful job! Laura Said: I think this is so super cute! the color scheme is so pretty, the image is super adorable and colored perfectly and I really love all the different styles of dots and spots throughout the whole design! Beautiful job Lucy! Laura Said: I think this is so adorable! I love the pink and black color scheme and the feathers and embellishments are purr-fect :) Such a cute image too! Awesome job! Thank you for choosing my card as a fav! !